How Can I Get Rid Of Tough Stains? Treat stains at once, but test the method on a hidden part of the item first. To avoid spreading a stain, dab at it instead of rubbing it, and always work from the outside to the center. Never use hot water, which will set stains. Stains can be divided into two main types: built-up stains and absorbed stains. Some substances, such as blood and egg, produce a stain that is a combination of the two. Always treat these “combination stains” as built-up stains first, then treat them, for absorption. Removing deposits: Built-up stains are made by thick substances that need to be scraped off before treatment. Scoop them up quickly so that they do not penetrate far. Blotting liquid: Thin liquids will sink quickly into a surface. Blot the area with paper towels or a white cloth immediately. Launder or sponge to remove the rest of the stain. Mystery stains: If you do not know the cause of a stain, proceed with caution. Soak washable items, then Launder them according to the fabric. Sponge non-washables with clear warm water. If staining persists, apply a hydrogen peroxide solution. Dried stains To loosen dried stains, use a glycerin solution. Sponge off this initial treatment before using another chemical that may react with the glycerin. Stains should be treated not only according to type but also according to the surface on which they fall. The three methods below outline the basic treatments that can be used for stains on carpets, stains on nonwashable fabrics or upholstery, and stains on clothes. After removing any deposit, treat the remaining mark with a solution of carpet shampoo. If this leaves a startlingly clean spot, you will need to shampoo the entire carpet rising either a manual or an electric machine. Scrape up any deposit, and blot the stain well. 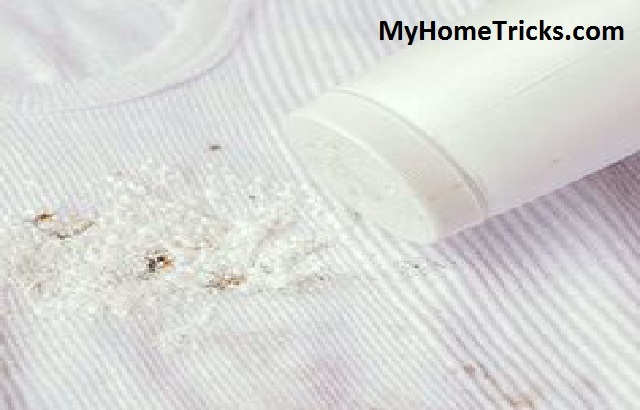 Apply talcum powder, and leave until it appears discolored, having absorbed the stain. Wipe away with a cloth. Apply more talcum powder if the mark persists. Dabbing away stains:Treat stains on washable clothes as soon as they occur, and always before you launder the item. Use lukewarm or cold water and a cloth to dab the mark. Alternatively, soak the garment if it is recommended. Laundering a stained garment can set the stain, making it very difficult to remove. Always treat stains before laundering, using one of the three methods below. Observe the guidelines for different fabrics, and invest in any laundry aids you think might be useful. Rinsing off stains:Rinse stains in cold or lukewarm water as soon as possible after they occur. Alternatively, sponge with clear water until the stain fades. Never use hot water on stains; it will cause them to set. Soaking items:Stains made from substances such as milk and blood respond best to soaking in enzymatic detergent. Do not soak items longer than recommended; always immerse the whole item. Applying a solvent: If stains persist after rinsing or soaking, use a stain or grease solvent before laundering. Place a white cloth under the stain to avoid transferring the stain to another layer, then dab. • Detergents: These come in varying strengths, and many contain additives to remove stains. Some stains require extra treatment with one of the substances below. • Detergent with enzymes: This works well on stains that contain proteins, such as egg yolk, blood, and sweat. It is often a constituent of ordinary detergents but is best used separately for stain removal. Bleach This has a whitening effect, so it should be used with care on colors. Avoid contact with your skin and clothes. • Laundry borax: This old-fashioned laundry aid is an excellent stain remover. Dilute for sponging or soaking or sprinkle directly onto stains. • Other aids: Stain solvents and prewash sticks and sprays help remove marks on clothes. Ink stains are best treated by soap flakes. Colors Treat: stains with care to avoid producing bleached patches. Soak the whole item when using a bleaching treatment such as laundry borax. Whites Natural: fabrics can usually be bleached. Synthetics and mixtures can yellow with this treatment and may respond better to the correct detergent. Natural Fabrics Because: these can be washed at high temperatures, rinsing or presoaking items before laundering is usually enough to remove most stains. Synthetic Fabrics: These are easily damaged by some chemicals, so test any treatment on a hidden part before tackling the stain. Delicates: These fabrics should always be treated cautiously. Avoid using strong chemical treatments on delicate fabrics. How to Remove Bad Breath? The Basic Rules How to Remove Biological Stains Easily? How to Clean Vomit Stains on Carpet? How Can I Remove Tough Stains? How To Deal With Rust Marks? How Can I Clean Pigment And Synthetic Stains? 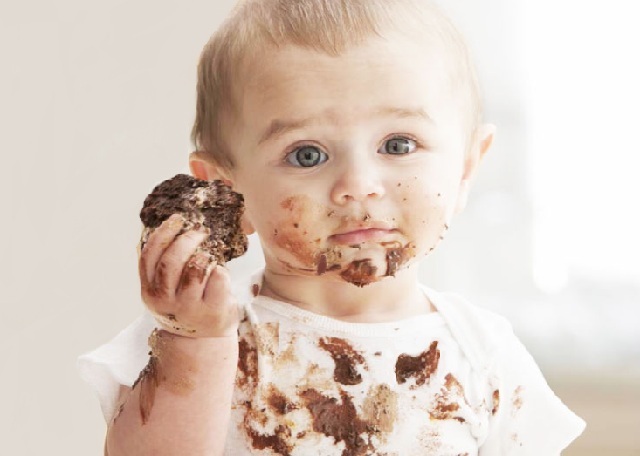 How to remove oil stains from clothes How to Remove Chocolate Stains ?